Students pass Schroeder Hall on the Quad. Prior to the department’s founding, courses relating to politics and government were offered through the Social Sciences Department, which began in 1934 and eventually included minors in political science, economics, history, sociology, and anthropology. At first, only three courses were offered in political science: American Government, Municipal Government, and Political Parties. International Relations was added in 1935. The department was beginning to develop its diverse and pluralist identity. In 2016, it has over 80 course offerings in politics and legal studies. Having only five chairs in 50 years, the degree of nationally and internationally recognized chairs is remarkable. Few departments can espouse such an early identity with cultural diversity. The first leader, Dr. Alice Ebel, was a trailblazer both in academia and in local politics as the first woman elected to the McLean County Board. Ebel began teaching at Illinois State in 1934 with the founding of the Social Sciences Department. Ebel’s influence in the department is still visible in the form of a major scholarship fund that she established for women with ambitions geared toward pursuing careers related to public service. By 1966, the Social Science Department broke into four new departments, including Economics, History, Sociology and Anthropology, and Political Science. Out of respect for Ebel’s leadership, a young scholar, Dr. Hibbert Roberts, carried Ebel’s books to her classes. He went on to succeed her in 1969, a most tumultuous year for the university. Roberts changed the nature of Ebel’s leadership from that of a department head to that of a collegial chair. During Roberts’ tenure as chair for almost 20 years, the department saw its greatest period of growth, with the size of the faculty increasing from eight to 22, and the number of political science majors growing to over 400. The Legal Studies minor was created in 1975. Roberts’ life was cut short by cancer, and as a legacy to his memory, a scholarship was established for political science majors, thanks to the generosity of the Roberts family and friends. There is also a teaching award dedicated to his memory and a lectureship that honors his service to the University. After the death of Roberts and a brief stint with Dr. Dorothy Lee, a sociologist, as acting chair, Dr. Thomas Eimermann was selected to the chairmanship, serving from 1992 to 1998. Eimermann had already been a faculty member at Illinois State for more than 20 years and had directed the Legal Studies program. Under his leadership, there was a major revision of curriculum, the beginning of the department’s annual Conference for Students of Political Science, and the establishment of a new graduate sequence in applied community development that is associated with the Peace Corps. From 1998 to 2007, the department was led by Dr. Jamal Nassar, an expert in Middle Eastern politics. Along with Professor Joel Verner and student Taye Woldesmiate, Nassar established the weekly Global Review program, involving contentious debates on all matters of international policy. Under Nassar’s leadership, the department started the student journal, Critique, and changed the department’s name to the Department of Politics and Government to represent its program diversity. 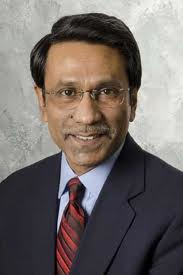 Dr. Ali Riaz, the current chair, brings years of academic perspective, along with that of a former broadcast journalist for the British Broadcasting Corporation World Service in London. Under Riaz’s leadership, the Legal Studies program gained approval from the American Bar Association and expanded to offer a full major. Undergraduate and graduate curriculum have been revised under his leadership, and a course on Professional Development intended to prepare students for the job market and graduate school has been introduced. The department has also made completing an internship a requirement for graduation. As can be seen in the brief vignettes of the head and chairs, the department has grown and evolved since its independent beginning in 1966. Current offerings, within the undergraduate program, include a major in political science or legal studies. There is also a paralegal certificate with a bachelor’s degree option. And, depending on a student’s particular area of interest, there are a variety of minors available. The current master’s degree in political science offers four distinct areas of graduate study: political science, public service, applied community and economic development, and global politics and culture. The Department of Politics and Government kicks off the 2016-2017 academic year with a 50th Reunion Celebration on Friday, September 30, 2016. The event’s planning committee includes: State Senator Jason Barickman; Brian Bernardoni, senior director of government affairs for the Chicago Association of Realtors; retired Judge John Freese; Professor Emeritus George Gordon; Professor Emeritus Gary Klass; Abdi Maya, agency outreach and education coordinator for the Illinois Department of Human Rights; Director of Legal Studies Tom McClure; McLean County Board member Ben Owens; Instructional Assistant Professor Sherri Replogle; Associate Professor Lori Riverstone-Newell; and donors Sandra Roberts and Kay Wilson. Plans for the evening include displays for browsing to view the department’s many accomplishments over the years. There will be remarks with short reminiscences about the department offered by former faculty and alumni, and musical entertainment. You can register for the Politics and Government celebration events online at Alumni.IllinoisState.edu/PolGov or by calling (800) 366-4478. If you have any questions, send an email to Alumni@IllinoisState.edu. The Department of Politics and Government would like to thank University Archives for its assistance and preservation of documents displayed.